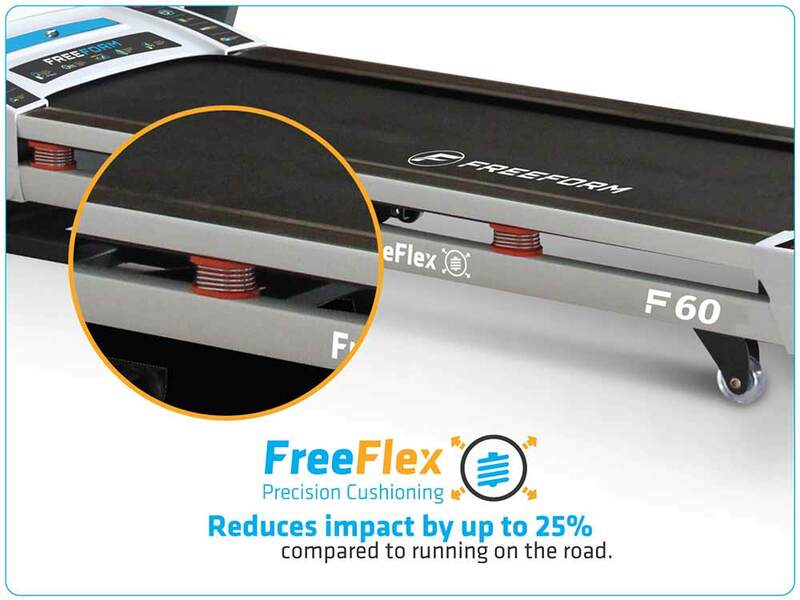 The FreeForm F60 Pro Runner Treadmill will have expose your inner athlete. 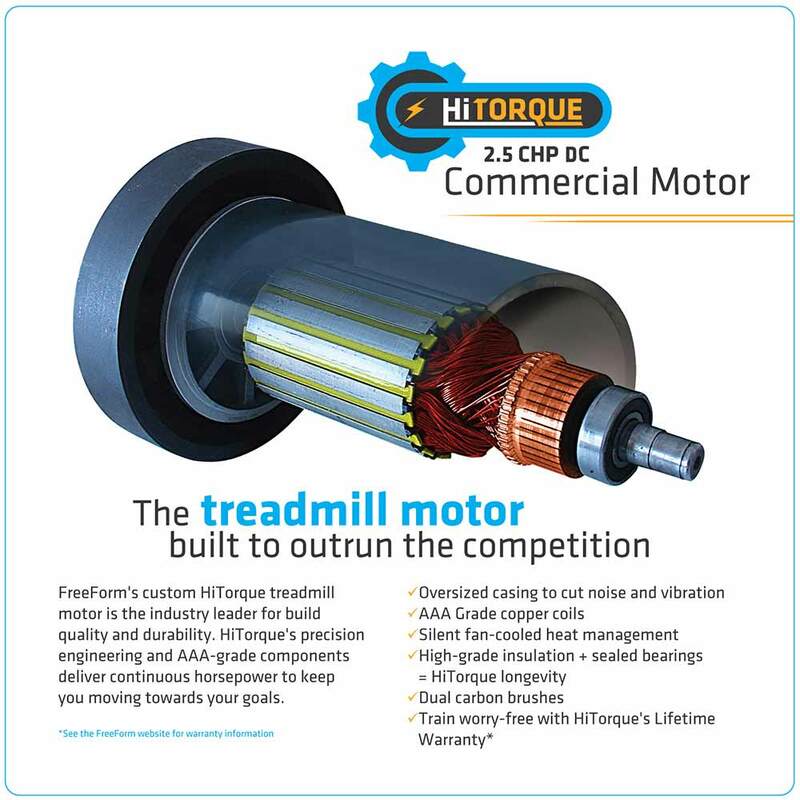 The massive 2.5 Continuous Horse Power HiTorque Commercial Motor will take your fitness to the next level with incline and preset programs along with a top speed of 18/km/hr. 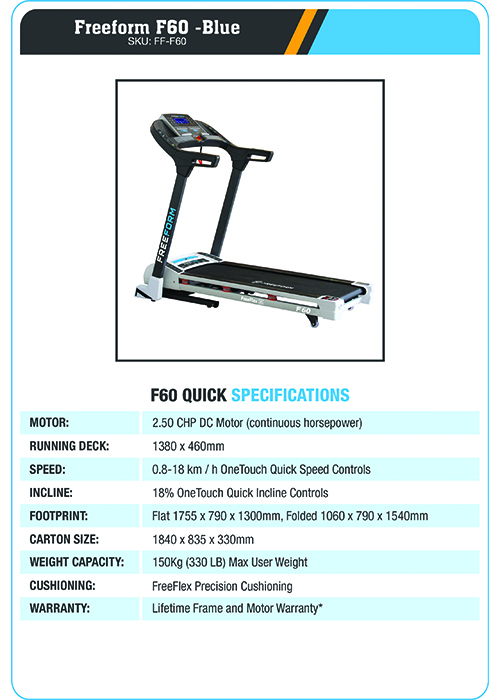 The FreeForm F60 Pro Runner Treadmill has all the traditional treadmill features and is loaded with modern extras so your exercise is hassle free, fast and FUN! Whilst the treadmill itself is fine the delivery service was very poor. One guy delivered the item and had to drag it up my driveway into garage and I then had to pay for it to be moved to where I needed it. With such a large and expensive item the delivery service should be 2 guys so they can actually deliver the item where it is actually required. Not impressed. 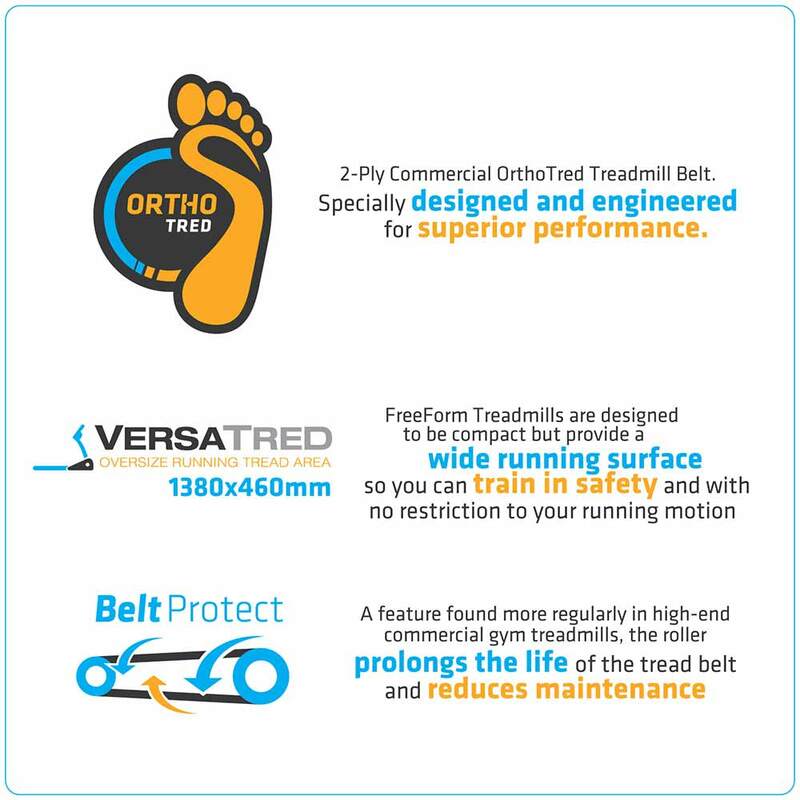 The FreeForm Pro Runner Treadmill is packed with features unlike any other treadmill I have used. I find it the most practical and useful machine in my home gym. Thank you gym and fitness for the amazingly quick transaction. 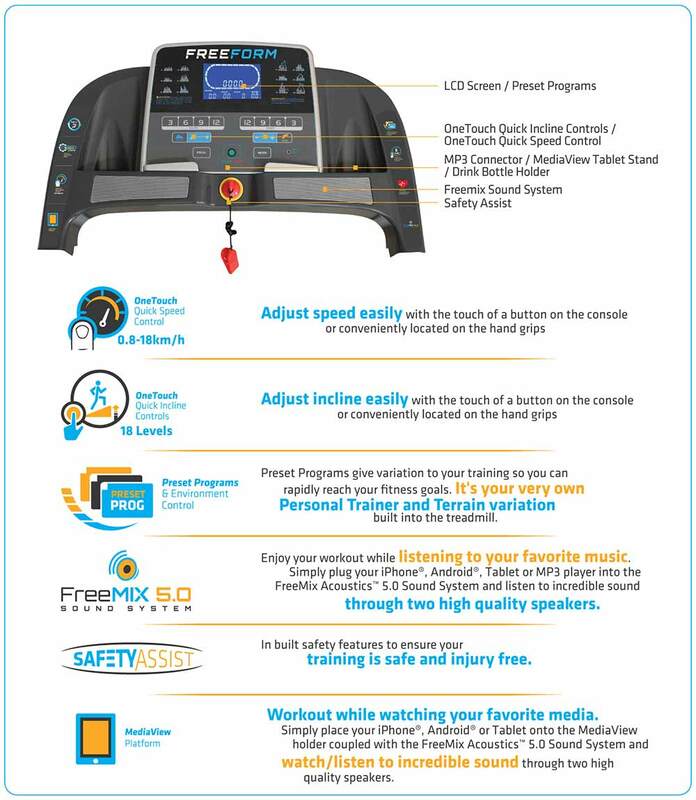 My beloved treadmill broke down after almost five years of serving me. 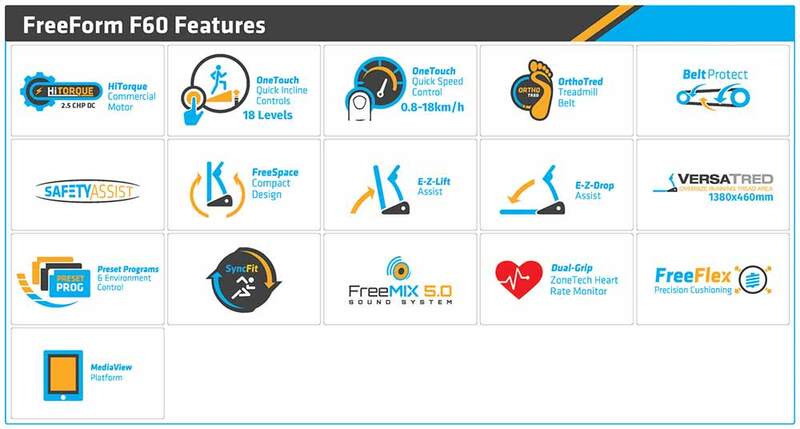 I couldn't find anything worth using until I found the freeform pro runner F60. 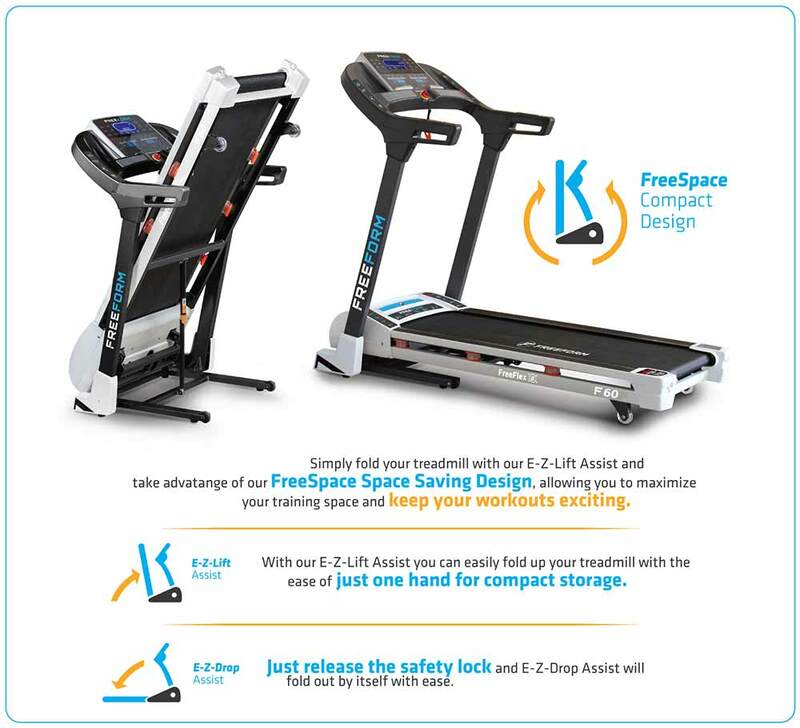 To be honest, it matches my previous treadmill's quality, maybe even better. Recommended to everyone. Thank you gym and fitness for the great service and prompt delivery.